Cigarette smoking risks are well known, but cigars are also combustible tobacco products. Do cigars present the same health risks as cigarettes? Researchers from the Kaiser Medical Care Program, one of the nation's largest health care maintenance organizations, provided the answer in 1999 by publishing an excellent study on cigar smoking in the New England Journal of Medicine (abstract here). They followed 16,228 never smokers and 1,546 cigar smokers - all men - for 25 years, and compared rates of several diseases among them. Cigar smokers were divided into those smoking less than 5 cigars a day (let's call them moderate), and 5 or more (heavy). Compared with never smokers, heavy cigar smokers were shown to have increased risks for several smoking related diseases. They had higher risks for heart disease (Relative Risk, RR = 1.6, 95% confidence interval, CI = 1.2 – 2.0), emphysema (RR = 2.3, CI = 1.4 – 3.7), oral and pharynx cancer (RR = 7.2, CI = 2.4 – 21.2), and lung cancer (RR = 3.2, CI = 1.01 – 10.4). The good news: Moderate cigar smokers had only a slightly higher risk for heart disease (RR = 1.2, CI = 1.03 – 1.4). Those smoking fewer than 5 cigars daily had no significantly increased risks for stroke, emphysema, oral/pharynx cancer or lung cancer. The comparable health risks of smokeless tobacco (ST), cigars and cigarettes are shown below. Smokeless Tobacco Users - numerous epidemiologic studies discussed in this blog. Cigars smokers - the Kaiser study discussed here. Cigarette smokers - the Centers for Disease Control. Cigars, the data show, have few health effects when used in moderation. One of the reasons that cigar (and pipe) smokers have lower risks than cigarette smokers is that they puff without inhaling. In addition, they smoke less: 76 percent of cigar smokers in this study were in the moderate use group. Those who smoke even fewer cigars probably have lower risks. Still, even moderate cigar smokers had a 20% increase in heart disease risk, which is consequential. That increased risk is, however, of the same magnitude that most Americans experience when they eat meat (as compared to heart disease risk for vegetarians). Lifestyle choices have consequences; consumers should use research results to inform their choices, including those concerning tobacco. Cigarette smoking causes “preventable illness and premature death,” as U.S. Surgeon General David Satcher noted in 1999, but other tobacco products, including smokeless tobacco, cigars and pipes, have far fewer health risks. Consumers should know the facts, weigh the implications, and make reasoned choices. Can you direct me to any authoratitive study on pipe-smoking, please? Interesting. 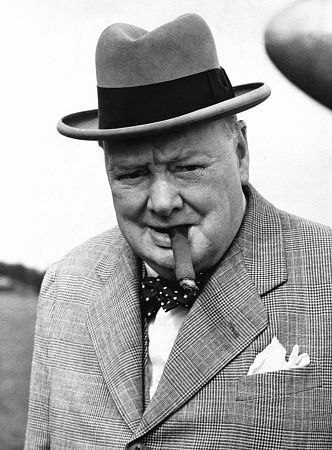 I've looked in the past for information about cigar and pipe smoking. In the UK, if you look up smokers' annuities (how much yearly pension you can buy at age 65 for a given lump sum), it seems you can get 10 to 20% extra if you have smoked cigarettes within the last ten years, but no extra for pipe or cigar smoking. This suggests that acturies consider the effect of cigar smoking on lefe expectancy to be negligible. Indeed,back in the 1960s, the advice was to switch to a pipe or cigars if you couldn't give up. This was before smoking became a religious war to anti tobacco fanatics. As an Insurance Agent and a cigar smoker I have a little insight into this issue. 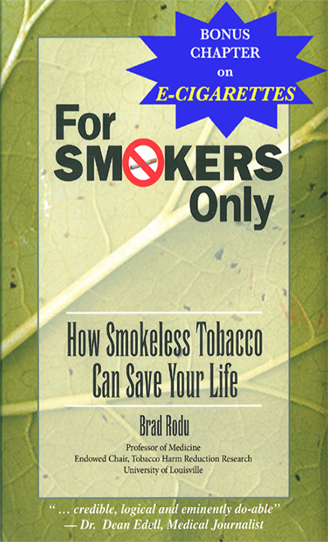 Both life and health insurance for the most part lump all tobacco use into one category. Part of the reason is underwriting. When you take a bloodtest for life insurance cotatine (a metabalite of nicotine) shows up. It either too expensive or impossible to tell the difference between cotatine from cigarettes and cigars. On a aggregate basis its economical for them to assume the worst and charge accordingly. I will discuss the health risks of pipe smoking in an upcoming blog post. I had no idea moderate cigar smoking was that less risky than cigarettes. Fascinating, I guess I have learned my something new for today. Tony's comment got me curious about proof of smoking. I don't know how they do it. Page 7 of this application is a questionnaire about smoking habits. There is no mention of proof or witnesses. My previous comment was incorrect. The usual condition in the UK is that you have been smoking 10 cigarettes a day for the last ten years. What about the relative risk of say 5 cigarettes a day vs 20? In Dr. Gori's Virtually Safe Cigarettes, there were several studies that demonstrated no significant risk (as compared to that of non-smokers) in smokers of less than 10 filtered cigarettes a day. We deserve the truth about all forms of tobacco use. In clinical trials of nicotine replacement products, the blood tests for cotinine would be useless. Researchers use a small, inexpensive device that measures exhaled carbon monoxide. If insurance agencies want proof that applicants are not smoking, they should use exhaled CO as the test. They are unfairly discriminating against non-smokers who use nicotine. I use an alcohol and drug harm reduction program to control my cigar smoking. I smoke one cigar a month, I enjoy it very much, and feel the benefits; relaxation, enjoyment, socialization, hobby interest, collecting, etc. far outweigh the costs; low to non-existent health risk. I have been successful at this regimen for one year. Very useful information! Thanks Dr. Rodu for your amazing work and clarity of science. I find myself back here almost two years later (re)reading this post once more, albeit this time as a "non-smoker" who vapes Virginia pipe tobacco. Did you ever get around to posting that thread on the relative risks of pipe smoking? If so, I would like to read up on the issue. ..and what of the possibilities of a smokeless (tobacco) cigarette that is/could be filled with snus (ie., also not inhaled like a cigarette)? I have learned quite a bit about harm reduction (from a consumer's standpoint) and I always find myself coming back to your blog to learn and re-learn. Did you ever get around to posting that thread on the relative risks of pipe smoking? That will be difficult. As Carl Phillips has discussed, it will be quite a while before we have any solid information on health effects in vapers, and keep in mind that virtually all vapers are former smokers, so many carry those accumulated risks with them.